We have some of the most fabulously imaginative and innovative clients in the business—and being able to offer them custom-built theatrical soft goods makes us truly happy. Designing exciting and captivating trade show and conference stages is one of the most important projects that a lot of our clients engage in on a regular basis. So it is imperative that we are able to provide them with the exact size and style of essential drapery that they may for their unique events. 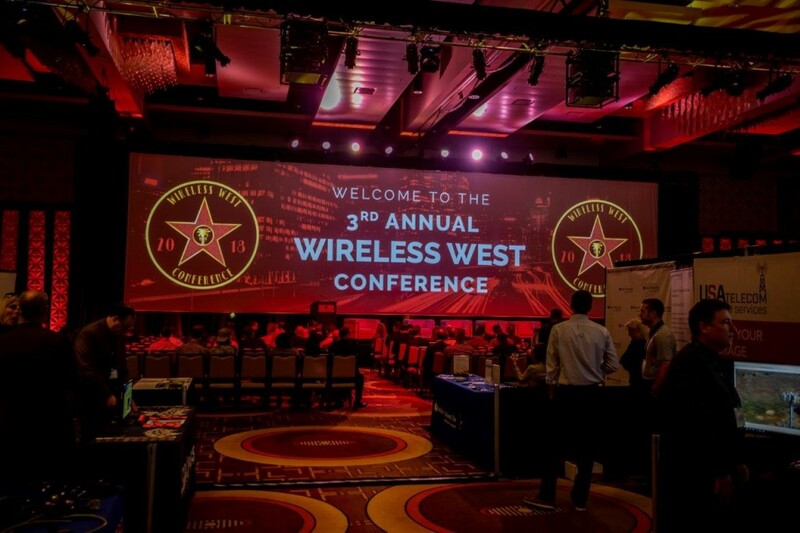 Earlier this spring one of our wonderfully creative clients, Mi Media Productions, was the production company behind this year’s impressive Wireless West Conference 2018. 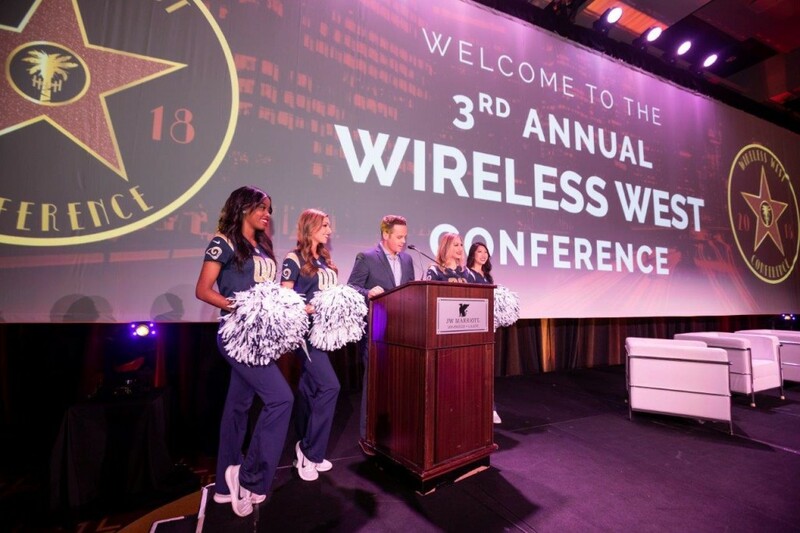 Event Designer and President of Mi Media Productions, Mike Ivey, worked with marketing managers Paige DeLazzer and Kari Willis from E-Factor to help configure the sensational lighting motif and appealing design layout for this popular event. Mike knew that they wanted to have the largest projection surface possible at their venue, and have it also be completely and absolutely opaque so that nothing behind the screen could be seen by the audience. But as the event’s stage, at 16′ h x 60′ w, would be considered outside typical “industry normal” dimensions, standard rental drapery was not going to be best option for them. Conferring with our sales rep Marilyn Moss, they decided to have Sew What? custom-build them the exact theatrical soft goods that they needed for this riveting seminar so that they would get precisely what they were envisioning. They chose White/White Blackout Lining as a non-traditional projection screen surface, choosing hidden ties on top for hanging, and a pipe pocket bottom so that they could weigh it down and give it a nice, clean, smooth surface. This fabric was ideal as it offered them complete and total light blockage, and also gave them an impeccable surface for crystal clear projected images and video. You can see by these stunning photos that Katch Moments Photography provided the conference just how perfect this custom-made “projection screen” turned out for this event, helping the weekend become a huge success. We loved being able to help our clients come up with a solution for their own exclusive stage design, and look forward to working with them again in the future. Let our team of drapery experts help YOU achieve a flawless look for your special event, too—with custom OR rental drapery products! It’s always wonderful when we are able to help with something so simple, yet so important, in a trade show’s success. 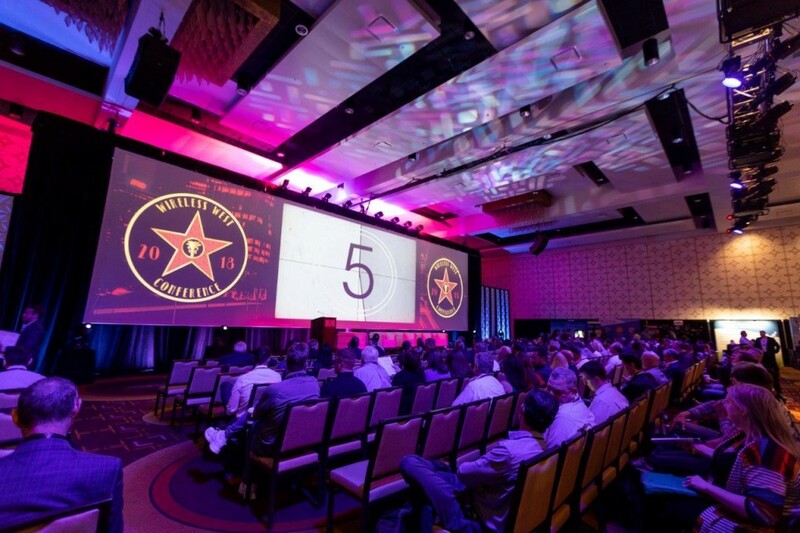 We loved being able to help create this custom built projection panel for our client, and seeing what an amazing job they did using it for their main stage, too.